WarGroove Delayed Until Q1 2019, Chucklefish Wants To Provide A "Robust Package"
Last time when we checked on the Chucklefish Switch eShop title WarGroove, the game had no release date. Apparently, the developer was aiming for a 2018 launch all along and that's now been pushed back to Q1 2019. 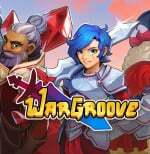 If you haven't heard about WarGroove before, it's been compared to Intelligent Systems' Advance Wars and Fire Emblem series. The game was first revealed for the Nintendo Switch in March 2017 and will now release in the same quarter as another long-awaited indie title known as Shakedown Hawaii. Have you been eagerly anticipating the release of WarGroove? How do you feel about it being pushed back to Q1 2019? Tell us in the comments. That's cool. I have enough going on gaming-wise as is. And I'd prefer a polished, complete game at launch. That's completely fine by me. This game has been near the top of my want list for a while, and I'd rather it be good than be rushed. Better a game working as expected on a late launch than launching a broken game and complaining nobody played the fixed version that came out 6 months after the initial launch and impression. A shame this returns to going up against Fire Emblem Three Houses but it's best it isn't rushed. Too much games I want to buy and play for Switch anyway. Delay it all you want. At least we finally got an update. This was one of my most anticipated indie games they revealed in the early days of the Switch release. Been waiting on this for a while, I'd rather more time was taken to polish the experience so I'm fine with this. I'd love more advance wars though!!! I've been waiting patiently for this, and I can keep waiting. There's a lot going on in the next couple months and if they need more time to polish this up, take it. Slightly disappointed as I’ve been checking for news in the game’s release every few days hoping we’d still get it before the end of the year... but ultimately, I can’t complain if they’re adding more content. Rather have a full, completed game later, than a rushed, botched one sooner. Outside of that, I'm not a huge fan of Fire Emblem, so I'm not really interested in this game. Already been waiting about a decade for a new Advance Wars. I can wait a few more months for this. If it’s half as good as Stardew than they’ll have a Mega hit. Stardew is TYTE! Hopefully the final game'll be good, but all the delays have really done a number on my interest. Can't really say anymore that this'll be a Day 1 buy. The company putting off the game inevitably means I'll be putting other games before WG. @Quincy they didn’t make Stardew though, just published it. ConcernedApe made it. I'd prefer them not to rush but... man I have been wanting this game since before the Switch launched! I see most people are supportive of the decision to delay in favor of a quality game. While I almost always agree with that as well, the delays with Wargroove really are becoming a bit ridiculous. It's been one of my most anticipated games for Switch ever since it was announced before the Switch launched. Now it will be coming out close to 2 years later. I'd love to say I will still purchase this game no matter what (I suspect I still will) but now it is also going to be going up against Fire Emblem. I understand the games are very different, but I'm sure there's many people that will have their fill of strategy games from Fire Emblem and pass on this. Unfortunate timing in my opinion. Looks pretty good. Good to see they put plenty of content into it. They definitely already missed their window for an early indie darling. That delay may cost them. I'm still interested in it now, but I may forget it in 2019. @ShadJV Thanks for pointing that out. At least then they have a good eye for what’s fun. ...I’m going to start researching current Concerned Ape projects right now. @Quincy no prob. I actually haven’t played any games made by Chuckfish, but this looks good. As for ConcernedApe... I believe the “company” is a man of one and Stardew is his only game thus far (as he’s spending all his time keeping it updated). Though I could be wrong, maybe he finally has another announced game? Given the vastness of SV it’s incredible he made the game more or less on his own. I hate to speak badly about this game as I intend on buying day 1, however, I have seen many games do this 'update new release forever...' until the game became irrelevant or the console was on it's way out (exmpl: see settlers DS)or worse; everyone losses interest or even a better contender. Timing is important in releases. The more time they invest, the less profit they make. not saying they should rush it, but time is money. Civ 6 is already threatening it. oh and Fire Emblem. The above comments prove my point.